Imagine how simple life must have been 700 years ago. 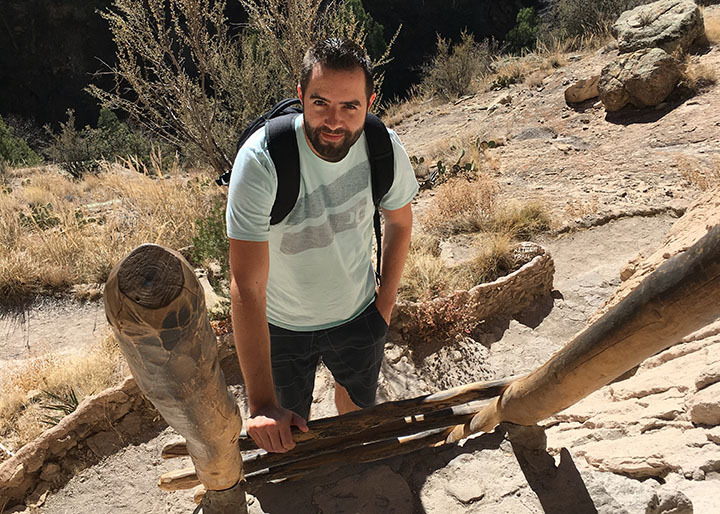 Yesterday, I walked in the literal footsteps of the Mogollon (pronounced moga-yon) people – a band of indigenous tribes who lived off the land through subsistence farming during that era, and who left behind a glimpse of what their lives consisted of. Being without cell signal for 5 hours gave me but a very small taste of what it would have been like to be more in tune with nature. And I liked it. 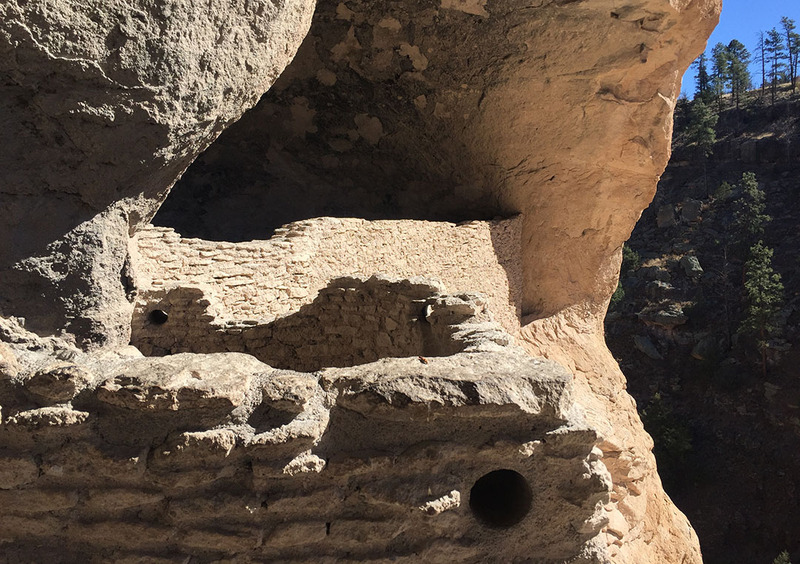 The southwestern United States is home to some of the best-preserved historic ruins thanks to predictable weather patterns and remote geography. Almost exactly 110 years ago, President Theodore Roosevelt set aside about 530 acres in southwestern New Mexico as part of a national monument that today resides about 40 miles north of the town of Silver City. 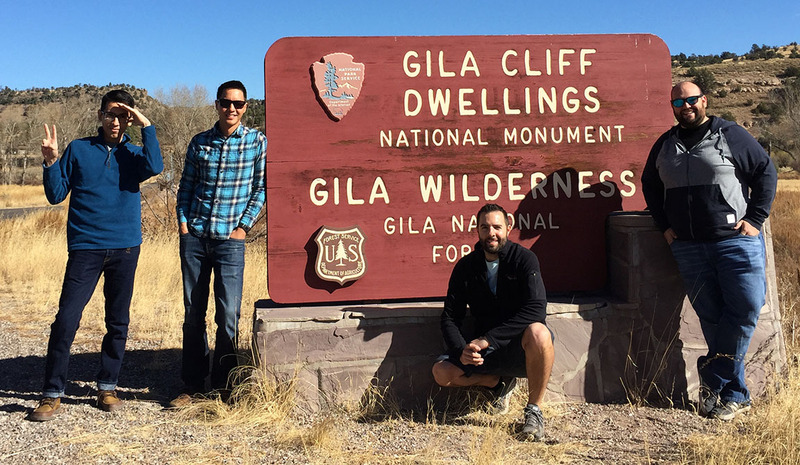 For us Arizonans, that makes it a pretty accessible overnight road trip destination. And this weekend, per suggestion of (and in partnership with) Driven for Drives‘ Jason Pawela, I checked it off my list. I broke free from the Phoenix urban grid a little after 3:00 p.m. on Friday to make my eastward trip toward the New Mexico state line. 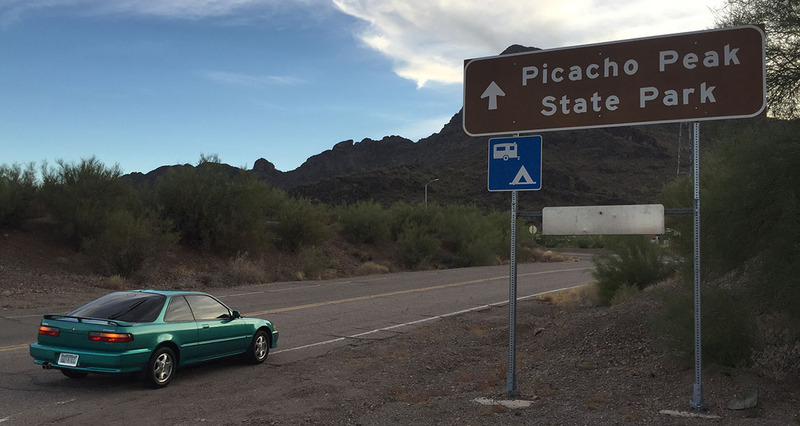 As was to be expected, I had to fight my way out on I-10 in commuter traffic but eventually was able to set the cruise on my Integra at 75 miles per hour. I made just one stop, at Love’s in Benson, for fuel and a stretch of the legs. The final 50 or so miles from I-10 at Lordsburg into Silver City were lonely and even a little creepy. 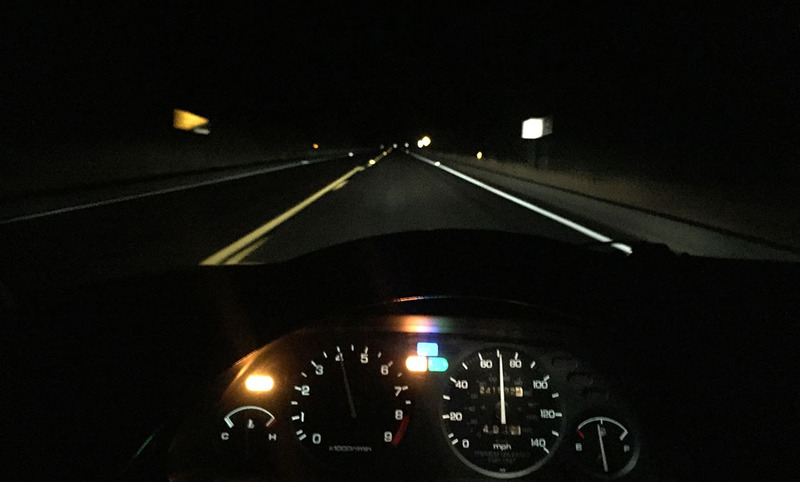 My ‘Christmas tree’ of dash lights (ABS, check engine, high beams, and cruise) were the only lights I saw aside from vivid constellations under the night sky – highly visible thanks to the area’s lack of light pollution. Saturday morning brought us crisp 45 degree temperatures and blue skies. I met up with Jason, James L, and James Z for a hearty Comfort Inn breakfast (complete with green chili on the side – total New Mexico thing!) and then we rallied our participants for this weekend’s drive: 2018 Alfa Romeo Stelvio, 2004 Mazda 6, and 1992 Acura Integra. It took only a few minutes to lose cell service as we headed north on twisty Highway 15. For only a 2-liter motor, the Alfa’s 280-horsepower 4-cylinder motor develops oodles of power and James was right on my tail. 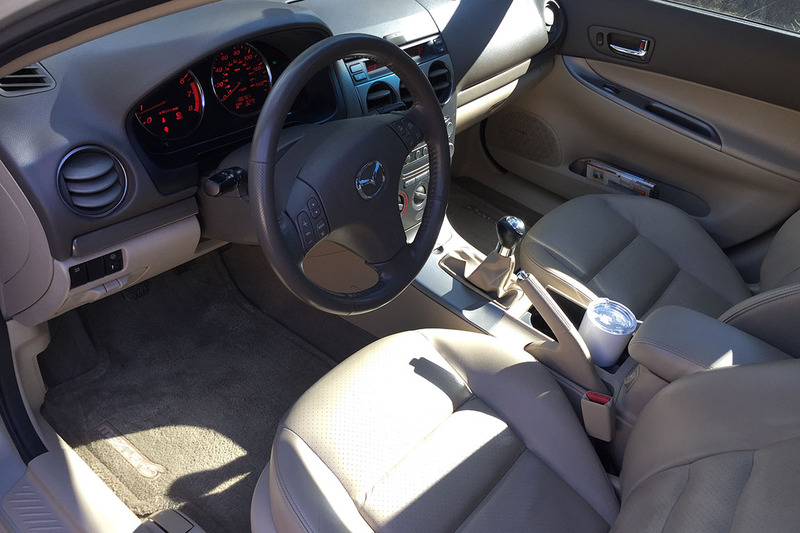 I swapped keys with Jason for a few miles and was impressed at how smoothly his (‘new‘) Mazda 6 handles given its 180k+ miles. It’s a good thing I was a driver, because I wouldn’t have lasted 5 minutes as a passenger with these curves. For about half that stretch, the road was narrow, with blind corners and no painted center line. 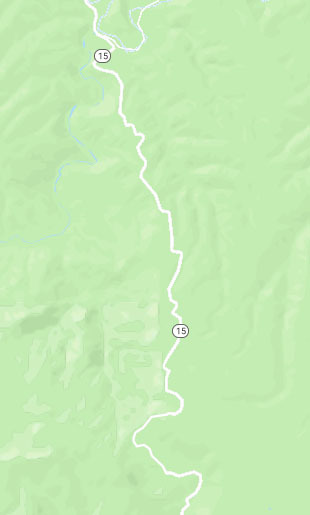 NM DOT basically says “Good luck!” and to allow for plenty of travel time (they said 2 hours) between Silver City and the ruins. 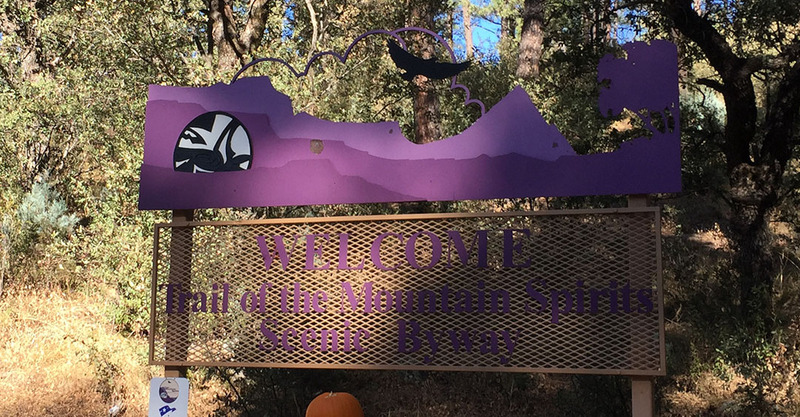 After a brief intro at the Visitor Center which probably looks today about the same as it did in the 1960s, we headed to a parking lot & trailhead 2 miles up the road. The dwellings in the area were believed to have been occupied around the year 1275 and are still remarkably well preserved. The Gila River running nearby was the Mogollon peoples’ source of life. By 1874 when explorer Henry Weatherbee Henshaw discovered and wrote about the ruins, some parts of them had been damaged. 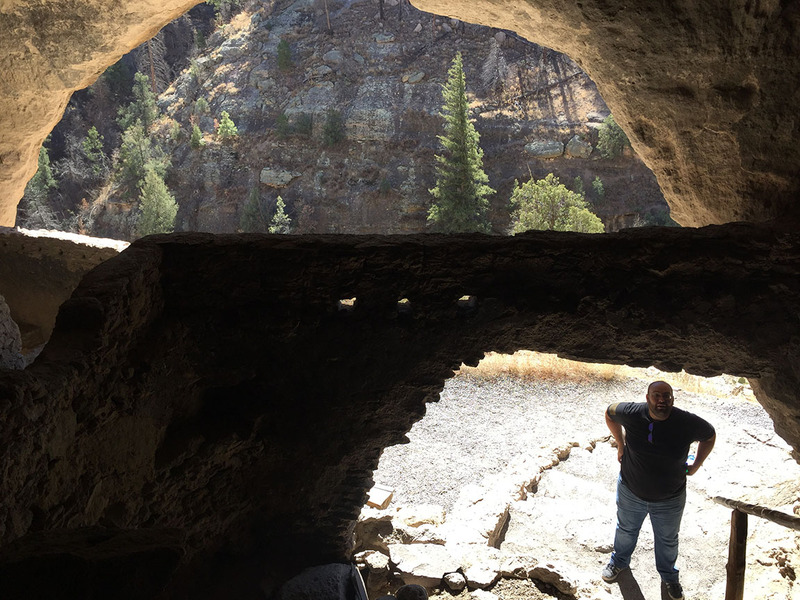 But ever since President Roosevelt’s decision to make it a national monument, the preservation has been vigilant – we weren’t even allowed to take liquids other than water on the hike, and we were asked not to touch any of the walls with our hands. 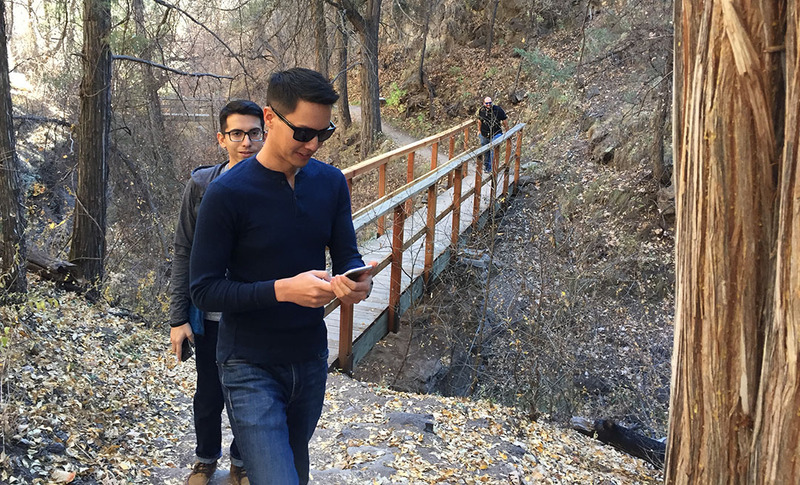 To access them, we had to hike a one mile loop which crosses several footbridges. There was a small brook running underneath them and the sound of waterfalls made it a therapeutic experience. A steep incline further down the trail took us up the cliffside and then we walked through a series of 5 different “rooms,” each one laid out with a unique floor plan. What struck me was the savvy use of space and the distinct feeling of temperature and brightness in each room. The south-facing openings were optimal because they would allow some summer sunshine to enter and heat up the rooms in the winter time, but kept them shaded during the summer when the sun was higher in the sky. Much of the Mogollon peoples’ lives remains a mystery, and part of our tour consisted of a Q&A session with ranger Connie. Connie took the time to point out a few key features and asked us what we thought they were. 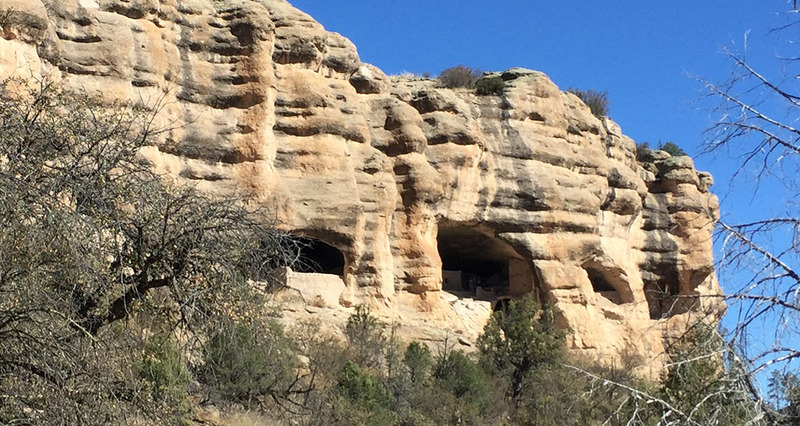 They included a grinding stone, pictograph images painted on the walls, and architectural features of the caves. 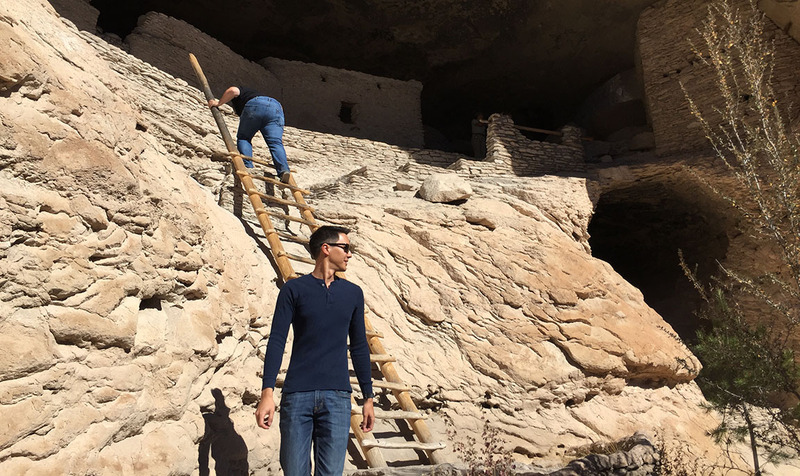 Today, there are wooden step ladders leaning to the various rooms but some of the original infrastructure – including rooftops over some of the rooms – are now gone. It took us about an hour to hike the circle. 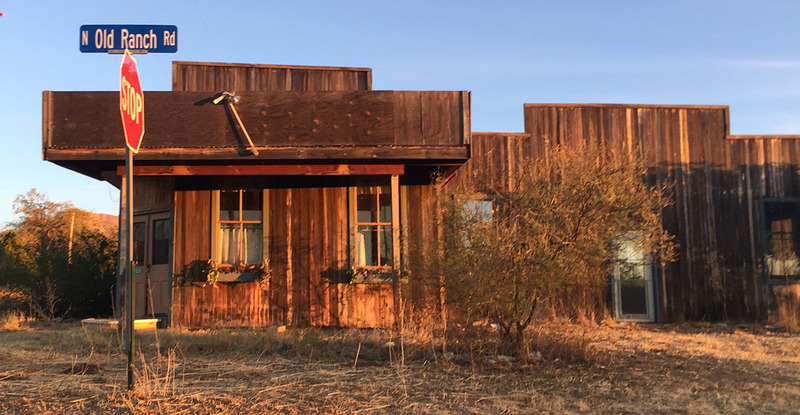 The return trip to Silver City was once again ‘spirited’ in nature, and we made good time thanks to being a little familiar with the terrain by now. 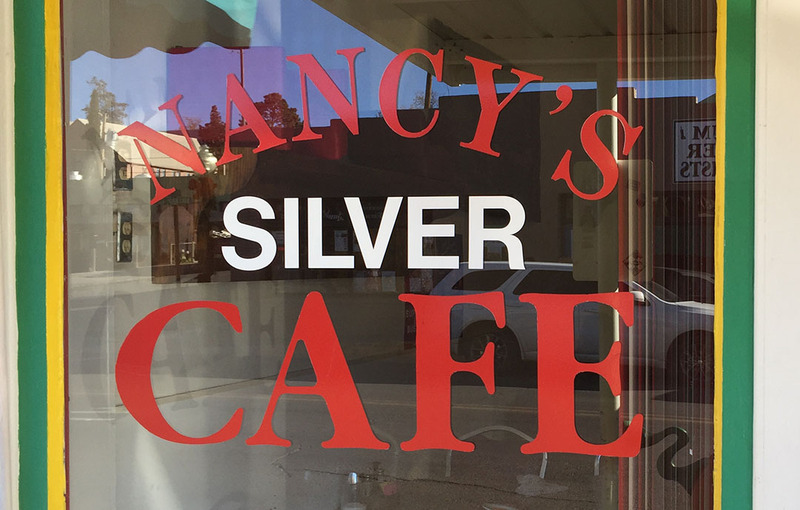 Lunch was at Nancy’s Silver Cafe right in historic downtown, where the 3-taco plate was just what the doctor ordered to satisfy those hunger cravings. We parted ways by mid afternoon and I sailed off into the sunset – literally, squinting at it the whole way – returning to Phoenix. I did make just one stop along the way, in a town called Dragoon, perhaps in hopes I’d see a fire-breathing dragon. But I did not. 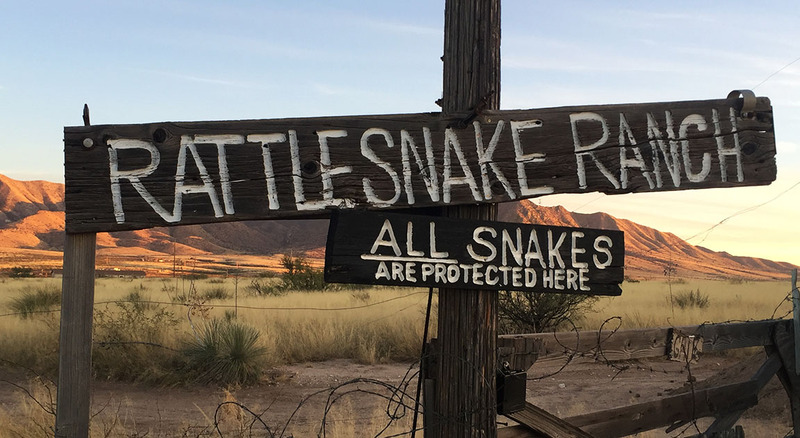 I just saw a sign about some rattlesnakes and some run-down buildings. Here are the rest of my pics from this trip, as well as a short video. Thanks for coming along! Getting ready to roll on out. Whoever picked purple for the lettering on this sign probably made the wrong choice. 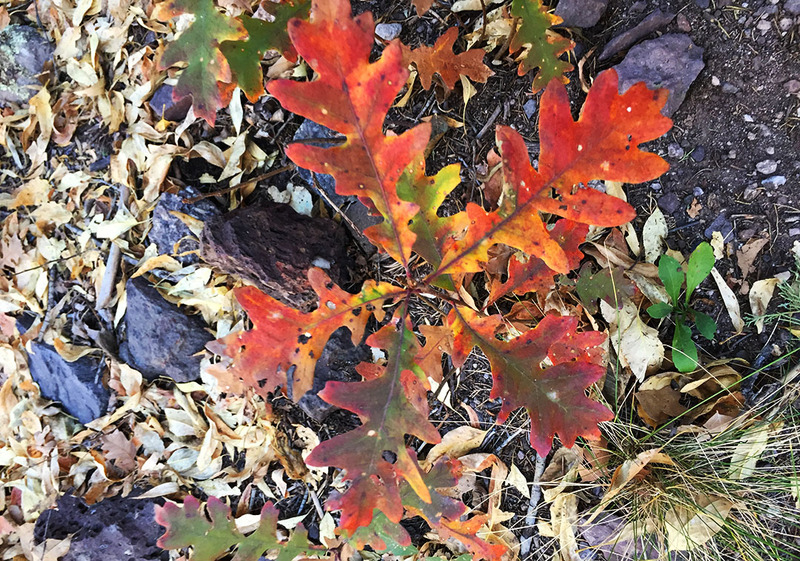 … but in a few areas they are still very vivid. New Mexico does get 3-4 inches of snow per winter at this elevation, according to Ranger Connie. 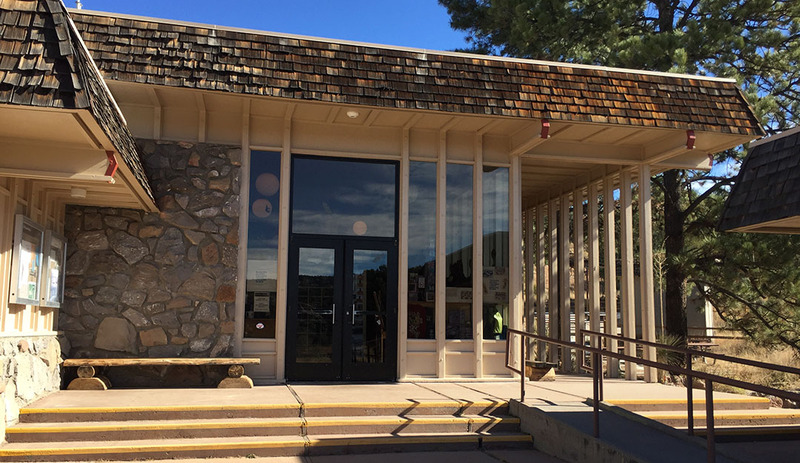 Visitor Center. 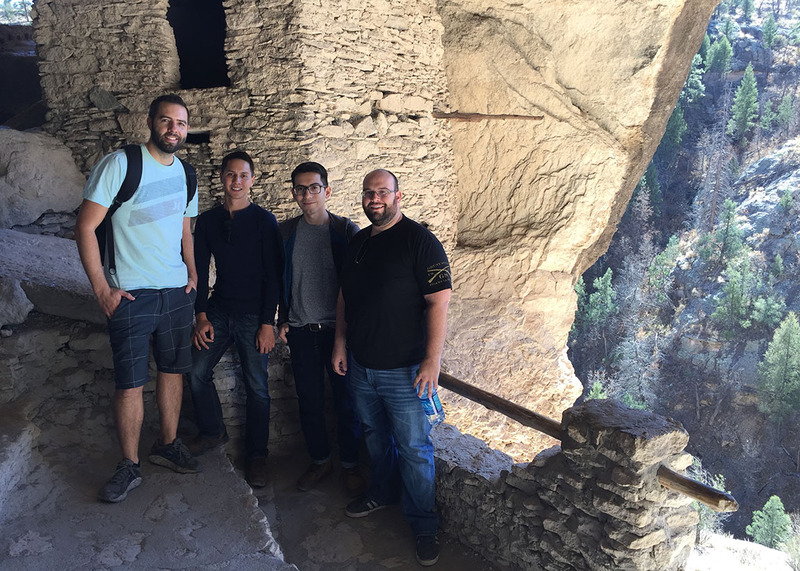 Entry fee is $5 per person for the hike to the ruins. Making our way toward the dwellings. The round hole here is where a wooden pole (supporting a roof) once would have been. Climbing down the ladder from the largest room. Some of the blackened ceilings in the caves are due to fires / smoke. There’s lunch, for you foodies! Headed home with a stop in Dragoon. 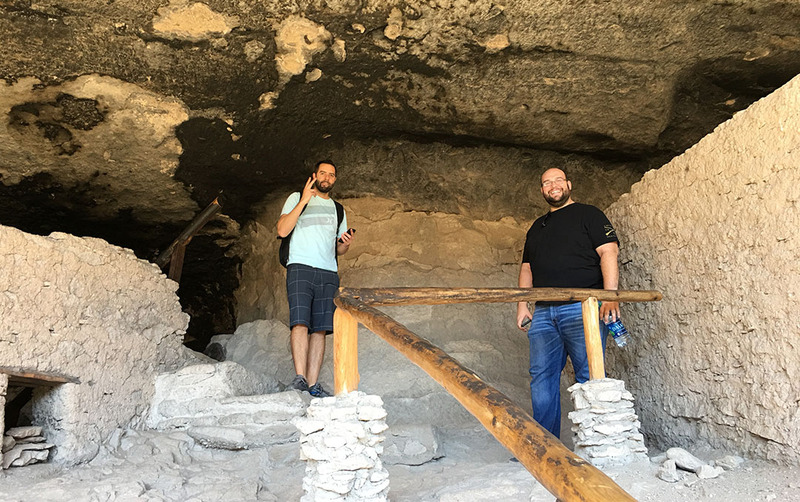 This entry was posted on November 19, 2017 at 4:53 pm and is filed under Hikes, Integra, National Parks, New Mexico, Road Trip. You can follow any responses to this entry through the RSS 2.0 feed. You can leave a response, or trackback from your own site. Great post here, Tyson! You nailed it on the history, and sharing the fun. Glad you and James L. could make it out despite feeling a little under the weather. You’re a trooper. I thoroughly enjoyed the Integra and loved the 90s of it…motorized belts, low cowl, simple tech, and communicative steering. I’m glad you got to incorporate James Lee’s descend down the ladder in the video. (LOL) Hope to schedule another drive soon! That was a great read, Tyson. Seems like an awesome adventure. 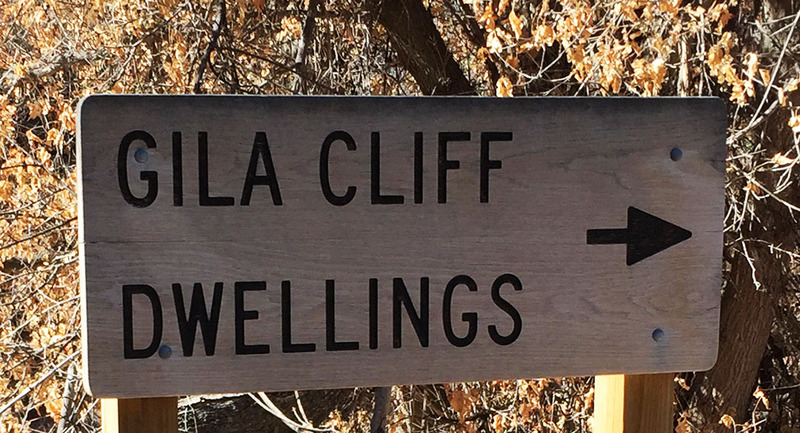 I’ll have to read more about the Mogollon over the holiday weekend! Did the ranger say when those dwellings were last inhabited? That road looks awesome- would love to try it with the Accord. How did the Integra do on those curves? 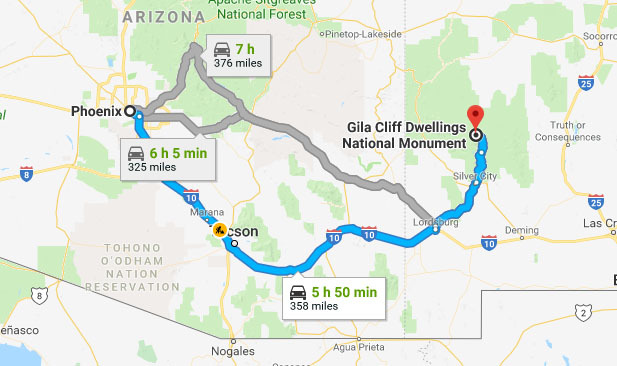 The timing of the Mogollon peoples’ abandonment (and the reason for it) is not fully known, and that’s what adds to the mystery here. In some of the rooms there remain artifacts like ears of corn which give us a clue as to their diet and lifestyle. I do remember reading or hearing something about a “30 year drought.” It must have been something Connie mentioned. Without sufficient water resources, the community probably dried up and had to move on around the year 1300. The Integra was made for those kinds of curves! 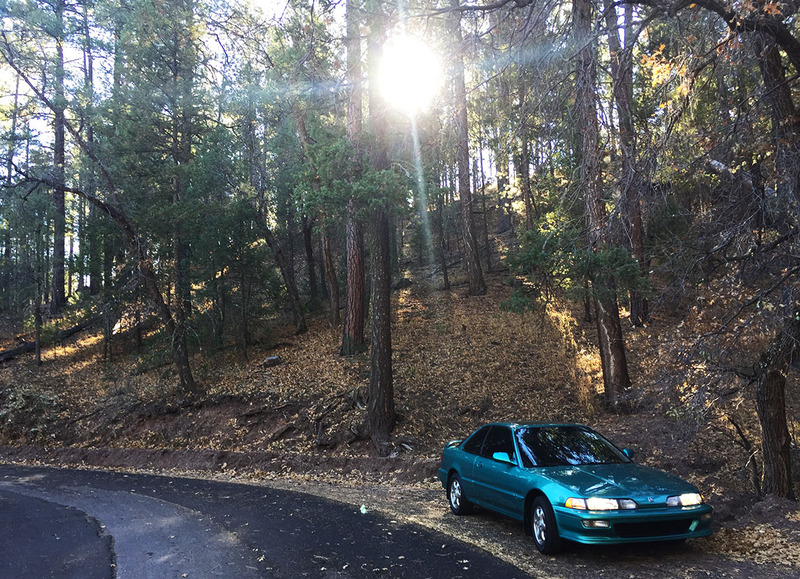 It does have its share of suspension creaks and rattles, body roll, and under-steer, but the car is still light and fun to throw around the canyons. I was pretty impressed with it. Fun trip…I love how that GSR gets around, and looks great in any setting! Thanks for sharing….your blog is a cornucopia of travel ideas! For sure! Thanks, Chris! I owe thanks for this travel idea to Jason. My current “Destination Spreadsheet” has 158 lines in it. I just did a count and I’ve only hit 39 of them. So plenty more adventures to come. 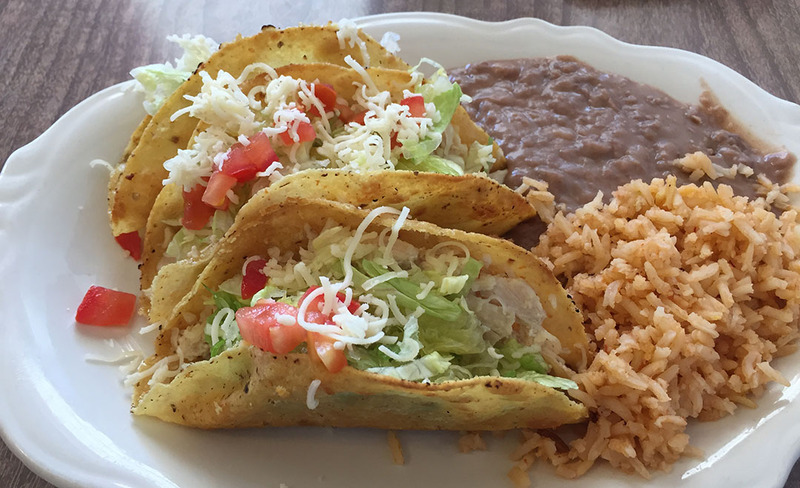 A taco dinner… my favorite lunch! Looks delish. Haha, I could have eaten just the chips & salsa and been satisfied. My favorite appetizer of all time. Plus I’ve been dealing with a sinus infection for 5 days now and lost 7 pounds. Zero appetite! Best diet ever? That dry desert air can be rough on the sinuses. Feel better soon! Those tacos look divine! And what a unique place to visit! Thanks for sharing with those of us who may never get to see it in person. See you in a couple. Sounds like a plan! My “front wheel drive sleigh” is ready for some holiday trips to southern Utah. Will Todd be giving the Medallion home a full Griswold treatment this year? Funny you should ask… because I keep wondering the same thing and the answer is leaning toward “no.” I hope the Christmas spirit invades our home soon! James’ “leave me behind” joke fell pretty flat, haha! I had no idea that the Stelvio produced 280bhp either, good to know. I’m sure that his drive wouldn’t have been as enjoyable as yours in the Integra along Highway 15 – that road looked awesome! Jason’s car is pretty cool too – the family history makes it even more desirable. Any idea what’s causing your check engine light? I wondered why I’m missing all of your posts & it turns out I’m not receiving notifications anymore. Weird. Hope your week is going well. Cheers! Hi Adam, thanks for notifying me about the notifications not functioning. I’ll have to look into the cause of that! I haven’t changed any settings on my end. The check engine light is intermittent – I really only experience it on longer trips, out of town. The Legend used to do something similar. I suspect it’s something related to either the EGR system, or emissions related like an O2 sensor. After this week’s trip to Utah for our Thanksgiving holiday, it will be due for another oil change so I’ll have Hon-Man figure it out. Lol at James trying to get out of going on the one mile hike! “Molly” the ranger wasn’t going to let that one slide! I’m sure James ended up being glad that he walked the full loop with us. The scenes were pretty cool. Though, we never did see the owl that Molly had promised us was somewhere along the way. Hope you have a great week too!